Sometimes life gets really crazy, right? Especially at the beginning of school. Sometimes we think that once our kids get into their routine, we’ll find our own. But it doesn’t always work like that! And then … life throws you a curve … like loss. That is the curve I’m driving now … literally. 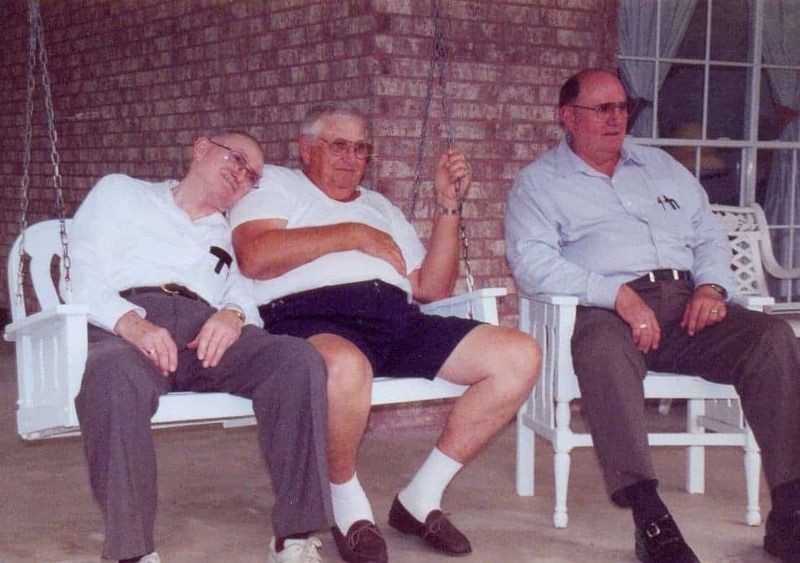 My dad (on the far right) and his two brothers were always a ton of fun together. 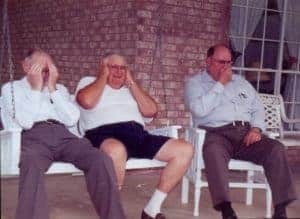 We lost my other uncle a couple of years ago, and the days of their silliness together will be greatly missed. But our families are close–full of love for one another. We have great memories and will treasure them always. This is an example of their silliness. “See no evil. Hear no evil. Smell no evil?” Really? But yes … this is them at their finest. But not really … all three of them are Eagle Scouts with the character that follows that great effort to achieve. Full of integrity and wisdom, these men set the example for their families in life and in faith. 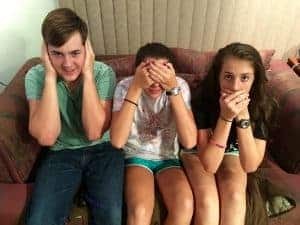 If you dig through the treasure of family photos, you would find more of this exact silliness with me and my sisters, my cousins … and now … my own kids. As great as this is … my greatest prayer is that the legacy of faith left by these great men, will find a lasting home in the lives of my own kids. Excellent message Dianne. So happy you made the time to do this. Praying as you and your family embark on this “curvey” journey. Beautifully written. I love how God is using you as His vessel Dianne.